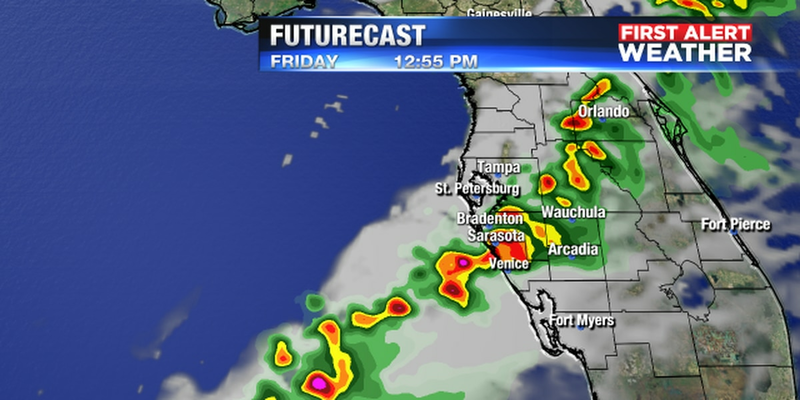 SARASOTA (WWSB) - The cold front that brought all the rain on Wednesday morning is now well to our south. Winds have switched around to the north and will bring in some chilly air something we haven’t seen in a while. Average lows are in the low 50s this time of year, but on Thursday morning they will be in the mid to upper 40s and with a wind out of the NE at 10-15 it will feel much colder to start the day. High pressure will build in and keep skies generally sunny throughout the day on Thursday and temperatures will warm into the low 70s. Not as cold Thursday night and Friday morning. 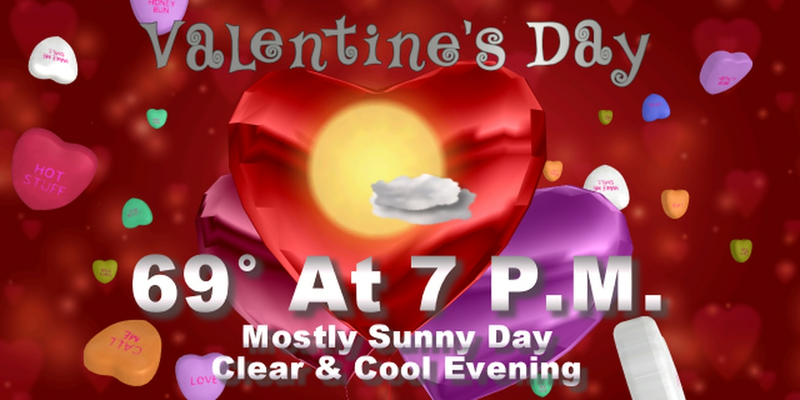 Thursday evening skies will be clear and temperatures in the mid 60s for the biggest date night. Friday morning we start off in the upper 50s and warm into the low to mid 70s. There will be plenty of sunshine. 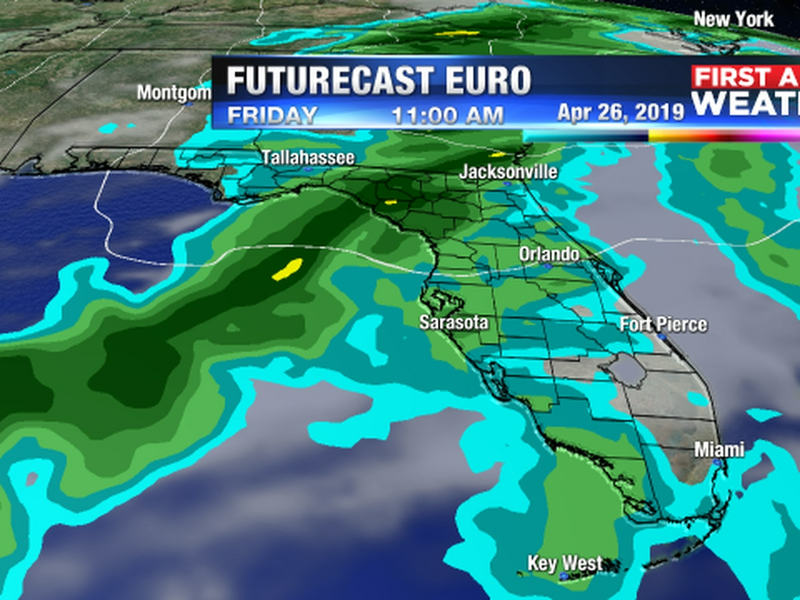 Saturday a weak upper air disturbance moves across N. Florida and brings a slight increase in cloudiness but it still should be partly cloudy. 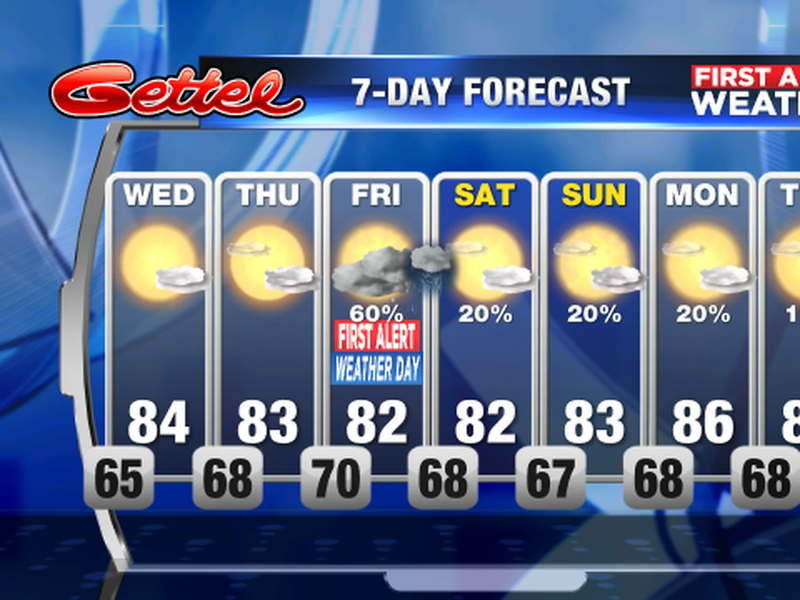 Sunday looks to be sunny with a high in the upper 70s. It’s back to the 80s on Monday with partly cloudy skies and only a slight chance for a shower or two in the afternoon on President’s day and Tuesday.